At mid November, after several frosts, the life of our garden is fading out. 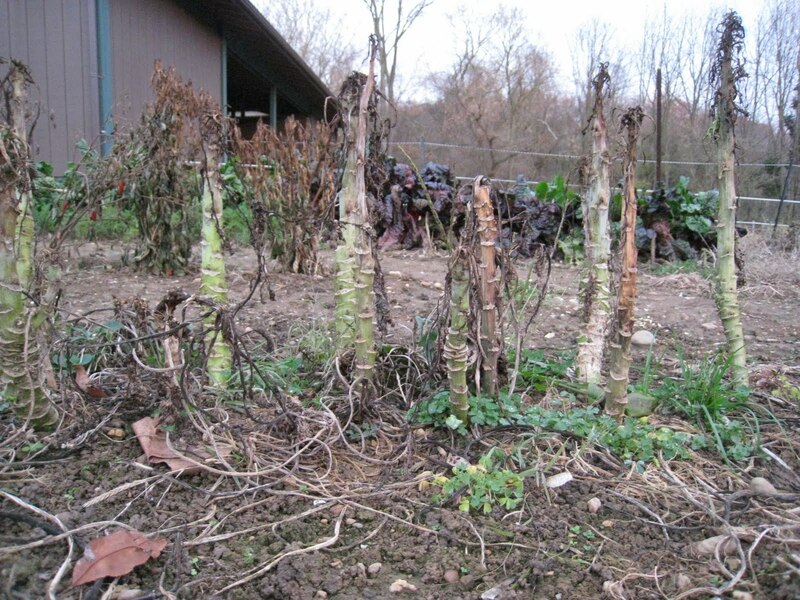 Deep green plants that were prolific a few weeks ago are now wilted brown. But careful inspection reveals treasures yet to be harvested. 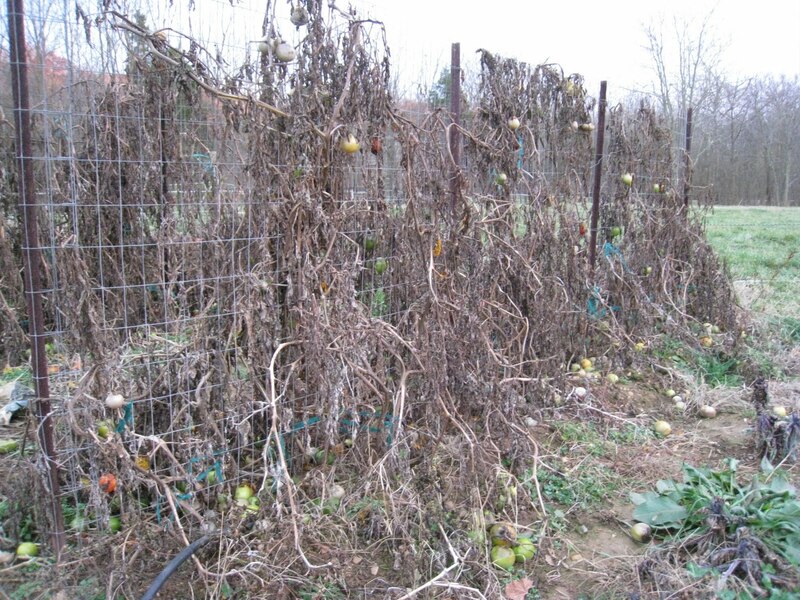 Some tomatoes and peppers hide under the insulation of dead leaves. There is still a mother lode of potatoes and carrots waiting to be mined. A few greens offer late season salads. 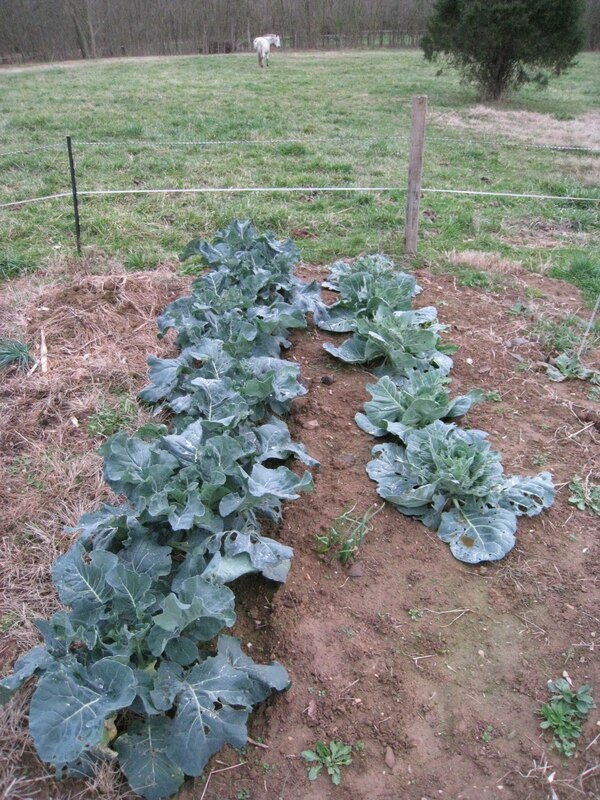 And in vivid contrast to the surrounding death, Fall planted broccoli and cabbage are flourishing. Once glorious tomatoes cling lifelessly to the trellis. at the forest of spent collard stocks. 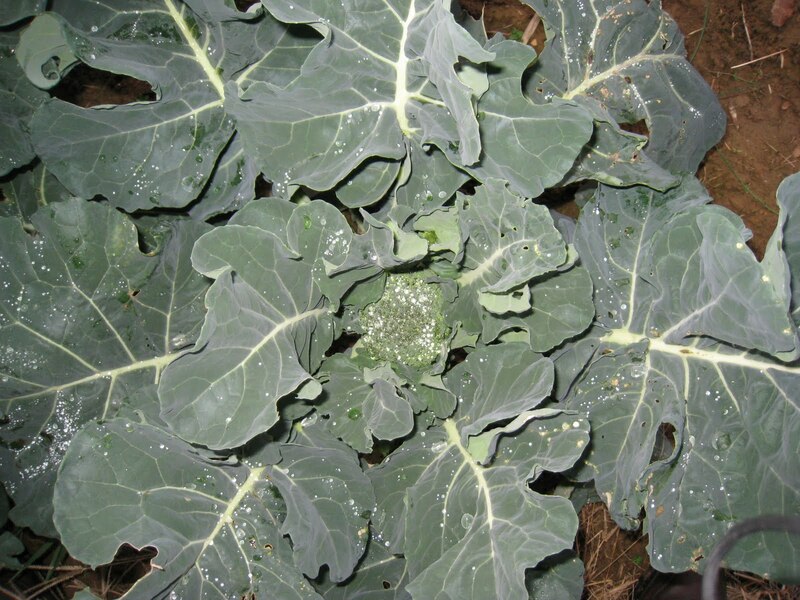 Broccoli and cabbage thrive in the cool of autumn. decorate a budding head of broccoli. 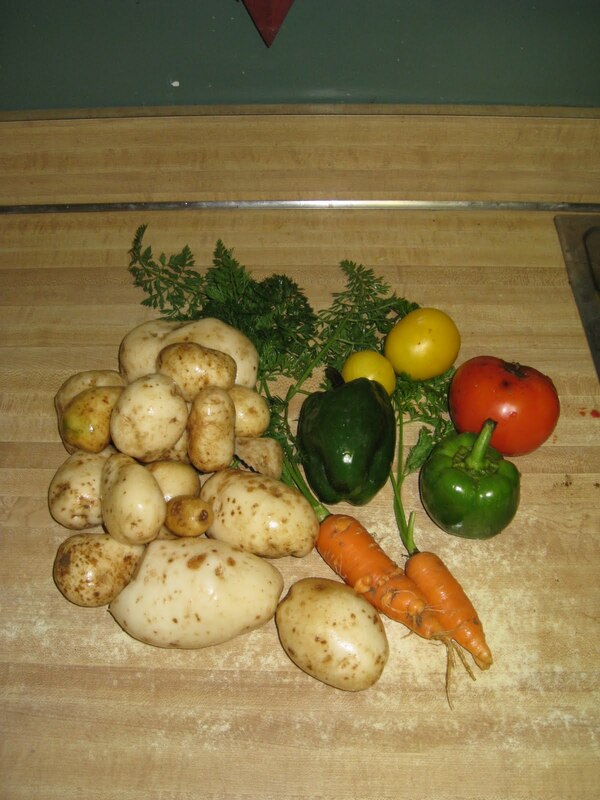 Even in November, the garden yields its bounties. ← What’s a vegetable garden worth? It is great still getting fresh veggies at this time of year. I use a floating row cover. I still have many thing growing under these covers. They are worth the extra effort and time to still have fresh salad etc. The dialog with the photos is poetic. Thank you!